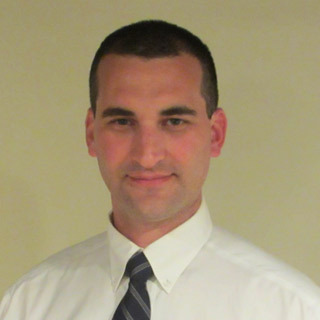 Kane Pension Design & Administration was founded by Brian Kane, an actuary with over 15 years of experience. He personally walks his clients through the process of designing, implementing and administering their retirement plans. Kane Pension Design & Administration specializes in bringing the ideas and skills typically reserved for the large market to small and mid-sized businesses. Brian Kane is a pension actuary with over 15 years of in depth experience in all aspects of retirement plans, serving an array of clients ranging from sole proprietorships to Fortune 500 companies. His specialty lies in the design, implementation and administration of retirement plans. After receiving a Bachelor of Science Degree in Mathematics from Georgetown University, Brian began his career in the large plan market. Brian got his start at Mercer where he learned the basics of defined benefit valuation work and had the unique opportunity to work with the Pension Benefit Guaranty Corporation (Government agency that insures certain pension plans) on various actuarial projects. As his career progressed, Brian advanced into a lead consulting role with Buck Consultants. As Brian looked to his future, he sought out a new area of practice that offered greater opportunities for growth and creativity. He set his eyes on the more dynamic small to mid-sized market. During his years at The Benefit Practice as a Senior Consulting Actuary and the Defined Benefit Department Manager, Brian was able to adapt the skills he learned in the large plan market to the unique challenges affecting small and mid-sized businesses. Brian went on to start his own firm, Kane Pension Design & Administration, to bring the ideas and skills typically reserved for the large employer market to small and mid-sized businesses. Working directly with his clients allows Brian to provide personalized services. In his spare time, Brian enjoys skiing, coaching/playing soccer, and spending time with his wife (also a fully credentialed actuary) and their four children.